Scan Copyright © Edge and corner wear (William Bird) on Flickr. All rights reserved. This building is still there on the street that used to serve as U.S. Route 99. It is now the La Mirage Motel but, as can be seen from Google Maps Street View, is only a sad shell of its former self. 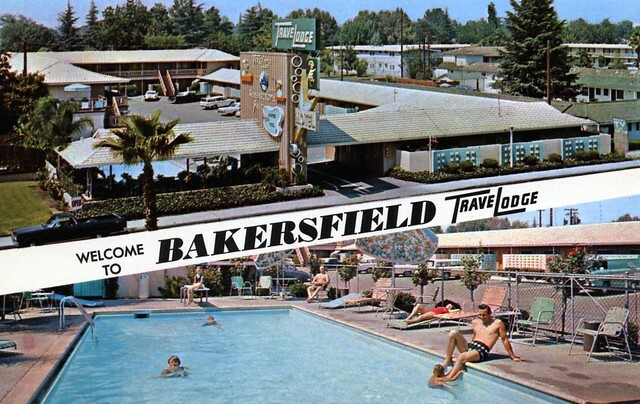 Posted in Date Unknown, Retro/Vintage, TravelTagged Americana, motel, postcard, Route 99Bookmark the permalink.